Various models of shooting ear plugs differ by options. What is the difference between them except price? You know that one loud “explosion” of sound or a loud sound can cause deterioration of hearing, and it is irreversible. So, we need to reduce side effects during the training by using qualitative shooting ear plugs. Here you’ll find ten variants. They are different but reliable. If you want to find the best ear protection for a shooting is, start reading our review. See top-10 best models of shooting ear plugs. Let’s consider that model more in details. This product has a large ear cup. 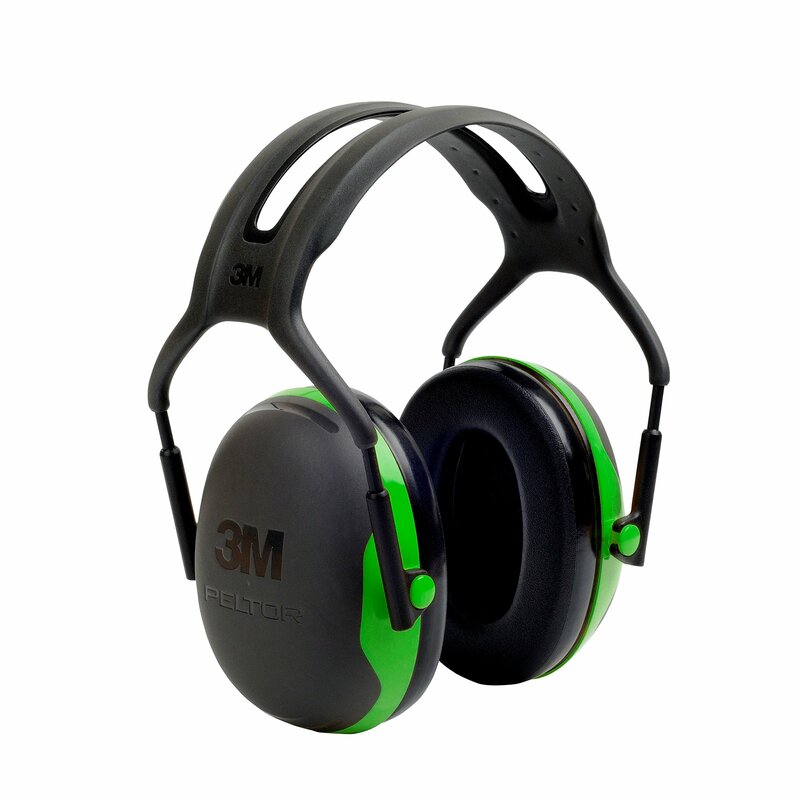 It is resistant to extreme noise environment and it offers maximum hearing protection. This model has 3.5 mm mini jack soft allow connection with Apple iPod or radio. 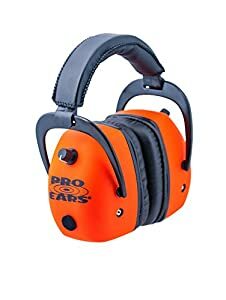 Also, these shooting ear plugs offer the best help to keep hearing without problems in covered or indoor shooting ranges. This product is sensitive to mechanical damages and can break easily if you don’t handle them carefully. Sometimes they can unsnap accidentally. You need to be especially careful with a plastic headband. There are also can be problems with the strap connecting the two muffs. It is approved to 30 the dB of protection from loud sounds. You can also use it during other “noisy” work. But it can be a deficiency in places where people train to shoot with rifles. Sometimes the seal can decrease if you wear glasses, so you will have to fix it very accurately and they have to adjoin well. 8-bit microprocessors start system verification when you turn on these ear plugs. You can adjust each ear muff separately. If you leave them turned on, they shut off automatically. This product is of the same brand that the previous one. 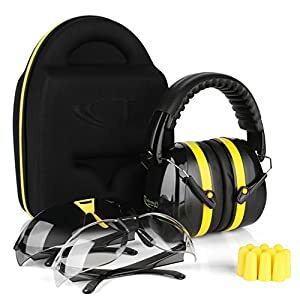 This model can be used by people who shoot with handgun and pistol and want to find maximum comfortable shooting ear plugs. 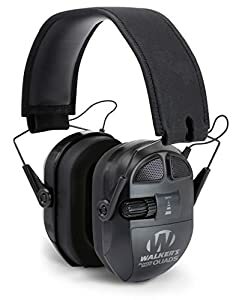 These are the best shooting ear plugs for those who would like to get good protection for a reasonable price. First of all, we need to talk about the powerful battery. Its average battery service life is 350 hours. This product has 2 Polaroid AAA Batteries. This unit has 3.5 mm connection cord for MP3 players, so you can turn on your favorite songs. But be careful with the volume. But this model doesn’t cover the microphones like Impact Sport. It can be difficult to use these with long guns. You would do better using them with regular-size guns. This model can resist different natural impacts like wind, snow, rain and technical damages. They are reliable and have a durable construction. These earmuffs do an incredible job of blocking out sounds of 30dB. This unit automatically shuts off strengthening after detecting encircling sound 82 dB. It provides natural listening and increases communication. It turns off automatically. You need to wait 5 seconds, turn earmuff on again to get work for the next 4 hours. 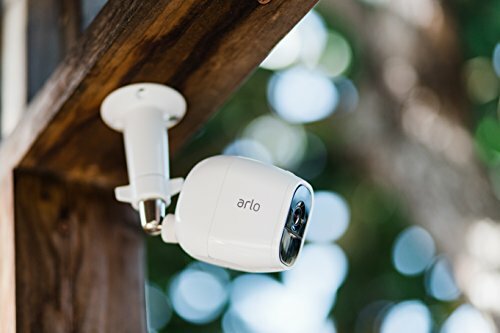 This slim and low-profile model has a restrained design. Let’s see the main pros and cons of this shooting ear plugs. Walker’s Game Ear Razor Muff works on 2 “AAA” batteries. That means it can work for more than 200 hours. There are two, high-gain omnidirectional microphones for sound strengthening. But you might find out some problems with sound quality. The sound might be like it is from a stage microphone at a school. The fit and feel of this model will please you. Shooting ear plugs can work even if you accidentally drop them to the ground. This unit reduces 23dB noise and also activated squeezes of the sound. But you can hear other shooters and communicate with them. Sound Activated Compression runs after detecting sound over 89 dB. Time of reaction will consist 0.02 seconds. There is no automatic shutting down. So, you have to turn them off by yourself and stake out if they work. One more model of the best electronic ear plugs. This model can also boast of Sound Activated Compression Technology. But what else does this product provide? 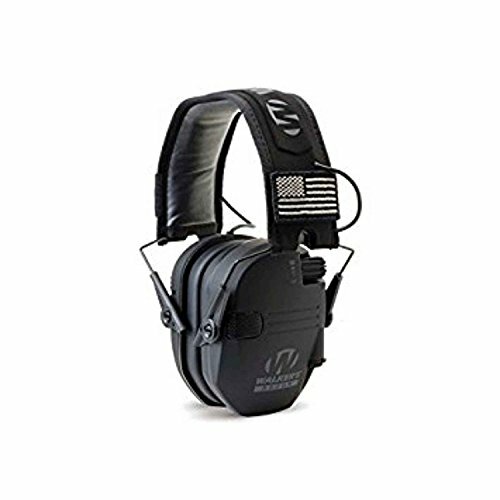 Patriot Series Electronic Ear Muffs are slim and with a low-profile design. You can easily wear them. Also, they won’t take much space in your bag. It is equipped with two high gain microphones. They are omnidirectional. And it can work longer because of 2 AAA batteries. This product has two USA flag patches on the set. But it doesn’t come with the case. They are made from high-quality materials, are scratch resistant and work for a long time. This product reduces noise to 23dB. You can use it on an indoor range and hear other riflemen. This shooting ear plug reacts on a sound that has to be squeezed during 0.02 seconds. But sound can be so poor that that you have to take these earmuffs off. It doesn’t turn off automatically. You need to check if it isn’t turn on. Main pros of the product are a superior comfort, fit, and hearing protection. 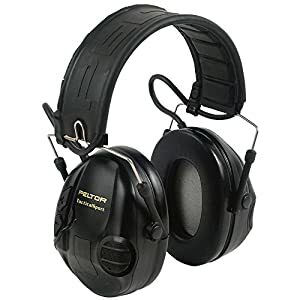 It’s all about Peltor Optime 105 Over the Head Earmuff. This model is one of the most lightweight. It has only 12.8 ounces. And this unit also is compact. You easily take it where you want to go. 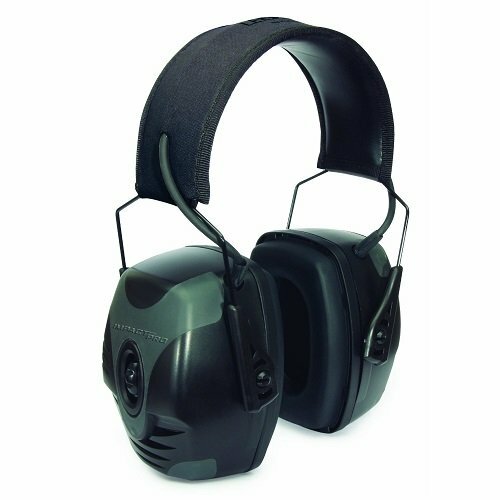 Peltor Optime 105 Over the Head Earmuff is made from plastic of a high quality. It has a twin-cup design, so it’s comfortable to use nd wear. This model is stable to scratches, ground strikes and scrapes. After wearing this model you won’t hear a noise that comes up to 105 dB. This model has the “double-shell” ear cup design, which helps to adjoin better. When you put them on, all sound will disappear. But, remember that they can’t work well at an indoor place because of echo. It is one of the cons that it can’t turn off automatically. Let’s see advantages and disadvantages of the next product. It is very light. The weight is only 8.8 ounces. But they are large. And you can have problems with getting good cheek jointing on the stock of your rifle. Wire headband is dielectric. So it’s safe for use. Circumspect design of twin headband makes product fit well and bring a powerful isolation of side sounds. But you might notice a headache from the tightness after long wear. This model is made from nickel finished hardened steel. That gives product high durability. You wouldn’t see many scrapes and damages. Also, it is equipped with Noise Reduction Rating (NRR) of 22 dB. It is designed for low and medium sound exposure. This model will give you a moderate ear’s protection, so you can hear a bit of sound through the earmuffs. It doesn’t have volume control and mechanism for switching on and off. This is one of the most advantageous models. So, what this electronic ear plugs hearing protection product can bring consumers? First of all, this unit has twin cup and 6 levels of noise filtration. That’s why this model excludes all range frequencies. It fits young people as well as adults. 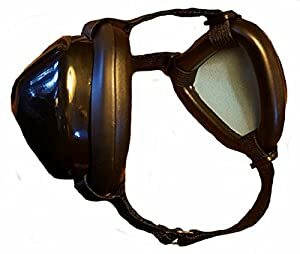 Also in a kit, you can find glasses for shooting. But you can notice some sounds from something or somebody near you. These shooting ear plugs are strong and durable because of qualitative materials. So, the model can be used very long without breakages. Tradesmart Ear Muffs carries an NRR of 33 dB. This model combines both – muffs and plugs. So, it has good noise isolation. You wouldn’t hear an AR-15 or high caliber round. There is no automatic system for turning on and off. So you have to control functions by yourself. 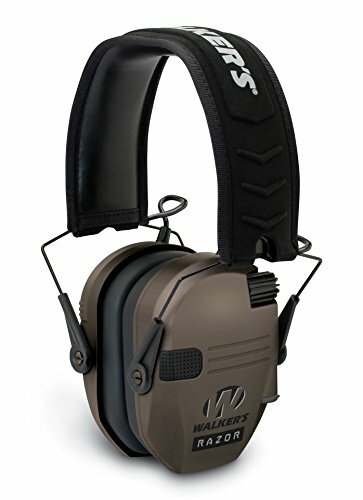 Do you seek the best ear protection for shooting? So, we present you the next model. It is made of plastic of a high quality. Also, it has 2 AAA batteries. They make work of the product more effective and much longer. You can easily get to the outer battery in Peltor Tactical Sports Earmuff. Ear cups with ergonomic design will fit almost everyone. There is a chip technology. Everyone will shutoff product very fast and get recovery time. This unit has solid basics and won’t succumb to scratches. But if you drop them on the floor, you might get problems with functioning. 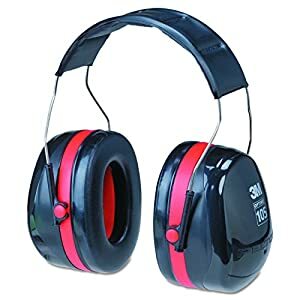 Shooting ear plugs start reducing noise from 15 to 35 dB. This product increases ambient sounds. Also, it has a good profile for shooting rifles. You don’t have to concern about turning off shooting ear plugs after exhausting raining. This model will shut off by itself. The next perfect variant is for those who want to see a product with good muffs and microphones. There are 4 powerful high gain microphones. They also are omnidirectional. Your voice will be audible and giving directions cleariy without screaming. There are front and rear microphones. But when you turn your head you can get static distortion, so be prepared. It has a short time reaction. This unit needs only 0.02 seconds to detect a high level of noise and neutralize it. They are really reliable and strong. You can even give them to children and teach them how to shoot,. Don’t be afraid if they drop it. They will work well despite that. It carries noise of 27dB. This variant compresses loud sound very quickly. Your ears will be safe because this mechanism notices very loud sounds and doesn’t allow them to damage hearing function. There is no auto-control for shutting off. But you can regulate volume and frequency. If you like to find shooting ear plugs for animals, we have one good variant for such inquiry. There are wide foam-filled ear seals for good fixation and maximum protection. You can also regulate straps for perfect fit. It was created for to correctly match to a dog’s head shape. So, your dog wouldn’t be isolated from the sounds, it will be able to hear all, but not too loud. It can be hard to fix this product on an animal because it can slip off after a few minutes. So, you have to carefully and firmly fit them on a dog. Supposed level of reduction will be 21-24v dB. Your dog will be protected from high-frequency whistles and humans’ screams. They don’t have a mechanism for switching on and off. You have to wear them on a dog and look on its’ behavior. So, you have familiarized yourself with the most reliable and available shooting ear plugs. Price of our variants is within 50-200 dollars, so you can choose a product and style that fits your budget. There are different electronic ear plugs reviews, but we also include one model for animals. We presented variants that can be used by both, including both teenagers and adults.